Wondering whether to engage in Software Testing Certifications or not, is a debatable topic. If you decide that they have value, the next challenge is how to choose the best certification to suit your role and experience. Here are three quick tips to read before finalizing your decision about going for Certification. You need to be convinced of the merits of having certification before you begin down that route, so knowing the benefits will help in determining if it’s the right time for you to sign up for a certification exam. Listed below are few of the advantages of becoming certified. Being certified increases the value of your CV. Although it doesn’t have any direct impact on salary hike or career progression, it gives an edge over other non-certified testers. It is a differentiator if you are an independent consultant or in the field of freelancing. Some projects or jobs make it mandatory to have only certified operatives in the team. Hence a certification might increase your chances or opportunities to get more work options. In some cases, certification is listed as a company goal for its employees, or is made mandatory. In these circumstances, the take up can be 60% of the relevant workforce but with the exams being mostly taken just for the sake of passing, and with the preparation mainly involving going through some of past question papers. If dedicated effort and a thought process is the main focus during training (instead of just conforming to the requirement), the end result will not only help in passing the exam, but will also enhance theoretical knowledge. 2. Which is the Certification to chose, and when is the right time to take it? Are you are trying for a role change and being denied? Situations like this can help you to feel that certification could be helpful. 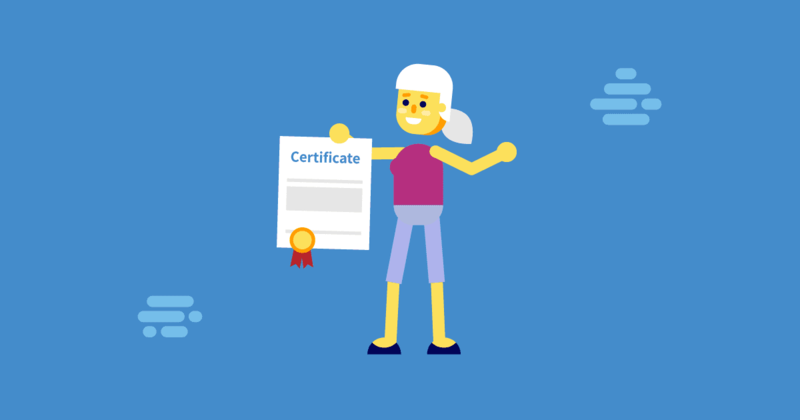 Perhaps you are moving towards a test lead position, so having a certificate will work as a motivation factor for your peers, reportees as well as other team members. Moreover, if you are looking to establish yourself as an independent consultant, certifications will be an indicator of your professional profile. The particular experiences of a tester defines their the role, as do certifications, so the choice of certification must match their overall years of experience in the field of software testing. Some of these definitions become clearer by checking the prerequisites defined for each certification, which prevents a candidate appearing for any accreditation until he or she is eligible. It’s always recommended to check the exam details as well as eligibility criteria on the official websites since the particulars are frequently updated. The sites are the right place to provide information about any new additions or any changes to the qualifiers. ISTQB Foundation Level is the most known certification for beginners, which commonly means anyone with less than six years of experience. The Foundation level also offers different types of specialization and can be decided based on the stream in which the candidate is most interested, examples being performance tester or mobile application tester. Another good one to consider for beginners is Certified Associate in Software Testing (CAST). Some common intermediate level certifications worth considering for anyone with less than eight years of experience, includes Certified Software Quality Analyst (CSQA), Certified Software Tester (CSTE), Certified Software Test Lead (CSTL) and ISTQB Advanced. For anyone with more than eight years of experience, already serving in a management role or soon will be, might want to consider these certifications; Certified Test Manager- Practitioner (CTM – P), Certified Test Manager – Master (CTM – M) and ISTQB Expert Level Test Management. 3. How to Prepare for the Certification? However experienced you are, achieving a Certification requires thorough preparation. The total time needed will depend a lot on the type of exam. The foundation level exams are typically the easier ones, and all it takes to pass them is few weeks of effort, but as the experience grows and the choice of opting for more advanced levels of certification, the preparation time required will also need to increase. If taking enough time out of your busy schedule is difficult or if preparing on your own seems burdensome, it can be a good idea to enroll in Software Certification Courses. The websites and training centers offer training in multiple formats ranging from live classes, virtual classes, and on-demand training. The institutes also facilitate and assist in the overall enrollment process, from registration until completion. Some online resources worth checking are SQE Training, Software Certifications, and Testing Institute. Some organizations also conduct corporate training for these courses, so if you are in employment, you can check and then register for these courses, which usually happens within the premises of an organization. Learning in a team and tutored by a professional can be beneficial in helping to understand the concepts better. Opinions differ on the merits or otherwise of attaining certification, as reading the many blogs online about it show. However, after reading this post, you will hopefully be able to make your mind up about what is best for your situation and where you currently are in your software testing career.